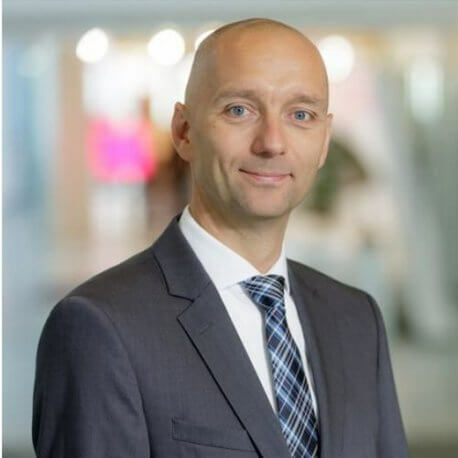 Axel Petri (german qualified lawyer) is Senior Vice President Group Security Governance at Deutsche Telekom AG. As Group Security Coordinator he is responsible for assuring the holistic and groupwide security approach. This contains strategy, regulations and control in all security domains as well as steering the groupwide cooperation of all security departments. He is also in charge for Information Protection and Economic Security as well as Investigations and Prevention. As Security Commissioner he is responsible for the fulfillment of the legal obligations in the field of Public Safety including strategy and steering of Lawful Interception and Data Provision in Germany. Axel is co-author of the „Rechts-Handbuch zum E-Commerce“ (Legal Compendium on E-Commerce) and author of further publications regarding Internet-/Media Law as well as Security. He is visiting lecturer at the Universities of Applied Sciences Darmstadt and at ‘Rheinische’ Cologne. Axel is Vice President of the Advisory Council at ASIS’s CSO Center for Leadership & Development and member of a couple of committees in different associations eg at BDI and BITKOM.